Working smart and not hard is a wonderful thing to do–especially if you’re a meeting or event planner. With any given event, there are a million and one things going on. In order to make the best of your time, efficiency should be your top priority–we know this all too well. We pride ourselves in planning major efficiencies ahead of time, so you don’t have to. 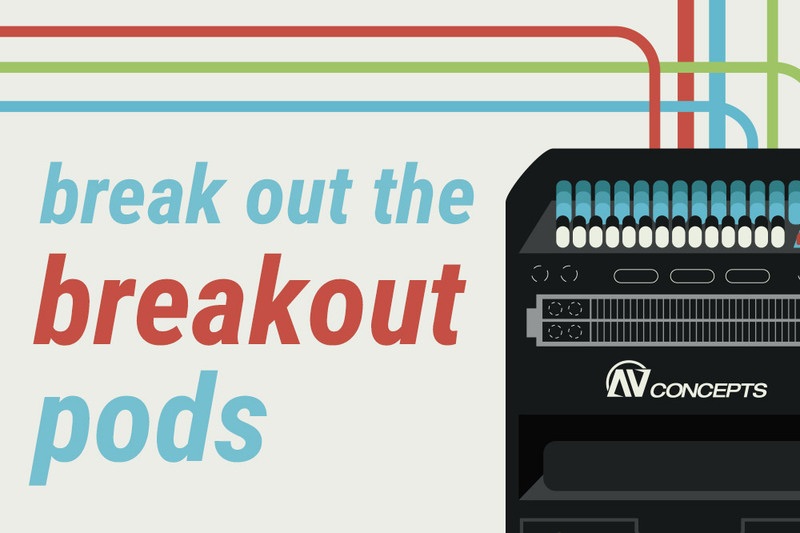 The AV Concepts’ Breakout Pod is a good way to start being efficient. As you scale up your event, your labor and equipment scale up as well. That hits your setup time plus your budget. So why not work smart and save on both. Our Breakout Pods have a 33% reduction in setup and strike time. Not to mention they’re pretty convenient. Forget having techs sort, pick and pack a sea of chaotic road cases. Streamline your process and you streamline your labor in no time flat. See? It’s a lot easier than you think! Reach out to us if you’d like to learn more. Reach out to learn more! How can we help at your next event?